Earlier this year, Microsoft has launched several new devices that are designed for the budget market in the form of Windows-based Lumia 532 smartphone (shown above) and Nokia 215 feature phone. 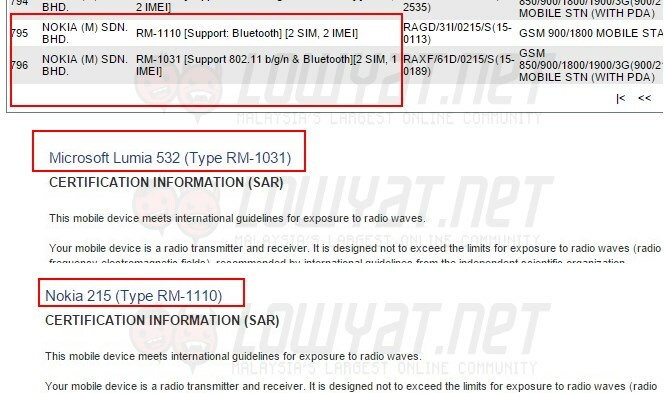 Both of these device are said to be made available in the market within this quarter and true enough, they have recently appeared on SIRIM’s database. Listed using its internal model name RM-1031 as confirmed by the SAR documents on Microsoft Mobile’s website, the Lumia 532 was registered into the database by Nokia Malaysia as well as Zitron Enterprise which is Nokia’s long-time distributor for our market. Judging from the list, the Lumia 532 variant that is designated for Malaysia will come with dual SIM capability. As a refresher, the Lumia 532 features a 4-inch WVGA (800 x 480) display alongside a 1.2GHz Qualcomm Snapdragon 200 quad-core processor, 1GB of RAM, and 8GB internal storage with the support for MicroSD card. Additionally, it also comes with 5-megapixels fixed focus rear camera, 0.3-megapxiels, and 1560 mAh battery. Also listed on SIRIM’s database under Nokia Malaysia and Zitron is the equally new RM-1110 or also known via its official name, the Nokia 215 (shown below). 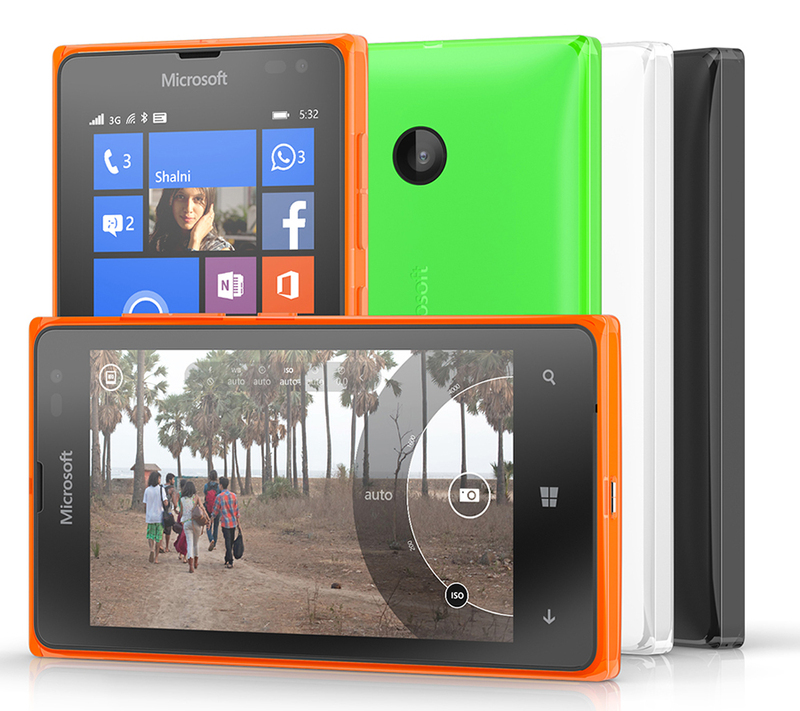 Just like Lumia 532, the variant that was shown on the database comes with dual SIM capability. 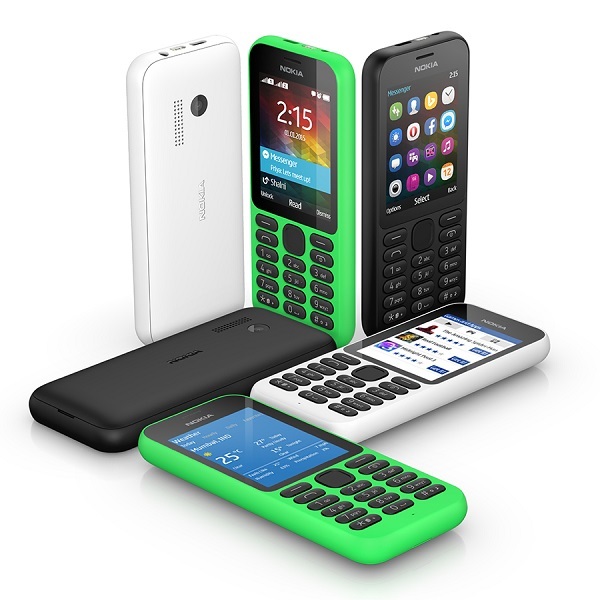 Said to be the most affordable Internet-enabled feature phone from the company at the moment, the Nokia 215 is built with 2.4-inch QVGA (320 x 480) colour display, and 0.3-megapixels fixed focus rear camera. It also features a 1100 mAh battery that apparently able to provide the phone with standby time of up to 21 days. Since both devices have now been approved for release in our market, what left now is the official announcement from Microsoft Malaysia. That shouldn’t take long to happen, so stay tuned.